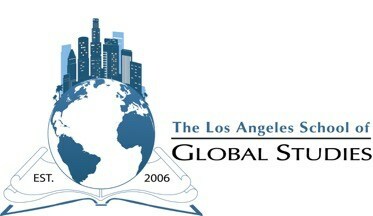 The Los Angeles School of Global Studies opened in 2006 on the Miguel Contreras Learning Complex and was visited by President Obama in 2009. LASGS is one of four small schools on the campus. All students on the campus are invited to be on sports teams and other campus-wide clubs and events. LASGS is unique in the Los Angeles Unified School District. It is the only school in the District that is a member of both the New Tech Network and the Linked Learning Alliance. The New Tech Network was created 20 years ago to transform teaching and learning through teaching that engages, a culture that empowers, outcomes that matter and technology that enables. As a Certified Linked Learning school, LASGS integrates college-focused academics, with high-quality career technical education, worked-based learning, and supports to help students prepare for college and career. Our Design, Media and Social Change pathway encourages students interested in in a range of subjects - from architecture to community activism to filmmaking to theater to forensic science, and more - to pursue their dreams while still at LASGS. Global students get out in the world. 2017 and 2018 graduates are off to college and careers, including California’s prestigious UC and CSU schools as well as Harvard College and Wellesley College. Alumni share that LASGS gave them the support, instruction, and opportunities they needed to graduate high school strong and ready to do anything!